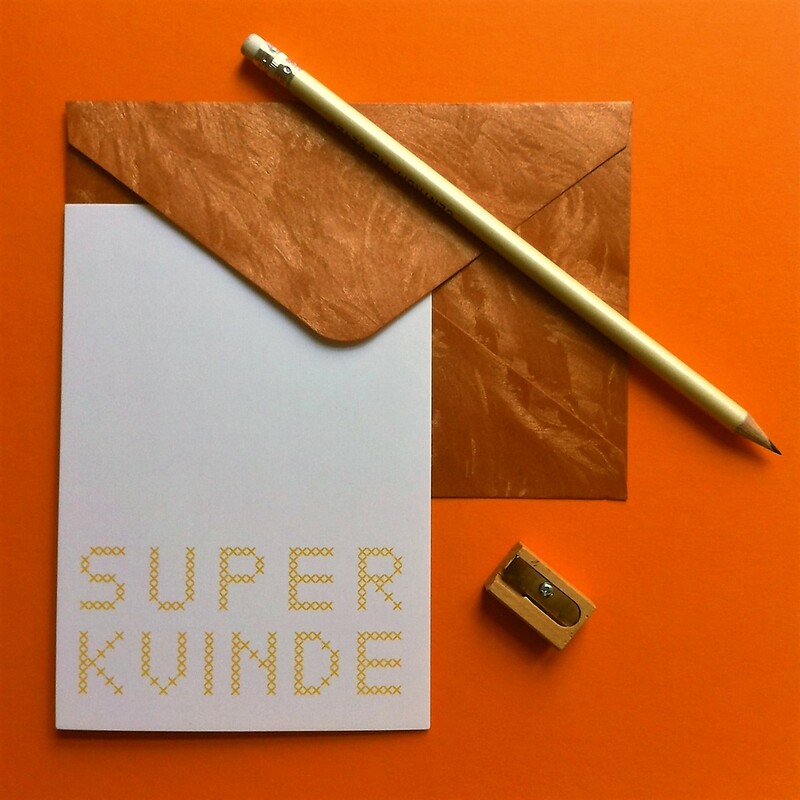 This set consists of 1 postcard with 1 envelope with statement “Super Kvinde”. The text is written with an embroidery style referring to a traditional craft practiced by women. Designed by Şeyda Özçetin and Seda Özçetin in 2013. Inspiration: “Super Kvinde” means super woman in Danish. This collection was designed for the women’s day in 2013. It was published and presented five days after Hamide Yanç Özçetin´s funeral on the 9th of March. She is our main model and inspiration for this and many other collections. So “Super Kvinde” refers to her and all women. We believe that all women are special, amazing, and fabulous. Our minds are so strong therefore we can do things that are not expected or possible. We are heroes, we are super women! Description: This set consists of 1 postcard with 1 envelope with statement “Super Kvinde”. The text is written with an embroidery style referring to a traditional craft practiced by women. Envelope: The set includes an envelope. However, this specific envelope is only for the photo shoot. Even though we use the similar type of envelope, the color is up to change.